Dejan Vucevic, the only international gymnastics judge in Montenegro, claims that gymnastics in Montenegro has been put to an end and that more than 100 children, who train it in Podgorica, have no opportunities to participate in competitions. “There is only rhythmic gymnastics in Montenegro, the sports gymnastics has been put to an end,” says Dejan Vucevic, the only international gymnastics judge in Montenegro. Vucevic has spent his whole life in gymnastics, first as a competitor, and then, for decades, as a trainer. He explains that there are more than 100 trainees in gymnastics and many talents in Podgorica, but there is no place where they can show their skills. They are denied access to domestic and international competitions. He accuses the Gymnastics Federation of Montenegro (GFM) that it completely disregarded sports gymnastics. The result of such work, according to Vucevic, is that talented gymnasts go to the region: “Due to lack of conditions here children go to the region. Thus, two boys and one girl that I trained, who compete for Serbia now, have over 100 medals. I'm not glad that, instead for their own home, they win medals for another one, “Vucevic said. Vucevic was one of the founders of the Gymnastics Federation of Montenegro (GFM), in which he was a member of the Assembly and the Chairman of the Board of Directors. He was a GFM’s delegate in 2010, when this Federation was admitted to the International Gymnastics Federation (FIG). “The Federation was established in 1994, and if we had been fortunate, this February, we would have celebrated 25 years of existence. Currently it has been turned into a rhythmic gymnastics federation,” he says. Vucevic claims that already unfavourable conditions in this sport culminated in 2014 when new management was elected and when GFM’s central office was moved from Podgorica to Budva. He states that this followed after the disappearance of the Federation document and seal, and that new management was not elected according to the rules. Vesna Radonic, President of GFM, denies Vucevic's allegations regarding unlawful election of the new management: “GFM operates in accordance with the Montenegrin Sports Law, which came into force in 2018, and it also must align all its activities with the rules of FIG and UEG. Therefore, no one can say that GFM was not established according to the procedures. This was confirmed by several inspection visits that came and checked the regularity of GFM work. All inspectors had a positive opinion on GFM’s work, “says GFM President for Weekly Monitor. Through the gymnastics club Gorica, which was led by Vucevic, generations of athletes have passed. Vucevic said that many top athletes started with gymnastics in this club, who in addition to gymnastics achieved results in other sports. He also pointed out to a number of students of the Faculty for Sport and Physical Education, who worked with this club. However, he explains that current situation disallows talents in sports gymnastics to compete at home, regional and international levels. Neither Ministry of Sports has done anything to improve the situation – Vucevic says that since the registration of clubs had begun – seven gymnastics clubs were closed. “I submitted an application for the club Gorica to the Ministry of Sports and I was told that it was not complete. I asked if I could update it and the response was positive. Later, when I went there I was told that I cannot do that, “he explains. Radonic however, claims that the problem is lack of licenses. “Clubs in order to compete in international competitions must meet the basic criteria of FIG, UEG, and GFM. The basic criteria are licenses in GFM, UEG and FIG. Unfortunately, our competitors are licensed only in GFM. Another problem is the lack of educated trainers and judges which is a requirement for competing at the international scene. This means that they currently, do not have FIG and UEG licenses, “she says. She insists that sports gymnastics exists in Montenegro: “Sports gymnastics clubs are a club from Niksic and a club from Herceg Novi. These clubs compete within Montenegrin system of competitions according to the GFM calendar”. However, she does not deny that this sport in Montenegro is at a low level. “Due to objective reasons – lack of adequate training space and lack of tools necessary for quality performance of sports gymnastics”. Vucevic has been waiting for years for a meeting with the Minister of Sports, Nikola Janovic. Vucevic said that, a few years ago, he visited primary and secondary schools in Podgorica with an elaborate on the construction of gymnastic hall. He explains that an international organization was willing to donate a hall. 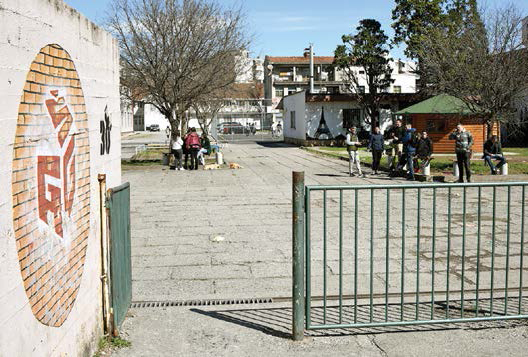 The plan envisaged for school to use the hall from the morning till 14:00h, while the club would use it from 16:00 to 22:00h. 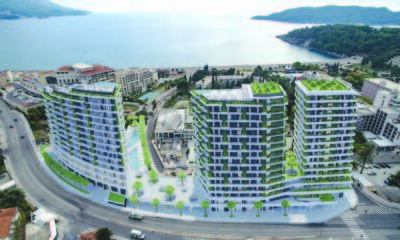 It was projected as the gymnastics center of Montenegro, which would have all necessary sports infrastructure, but also general children's health care provider and dental clinic. Vucevic said that at that time, famous gymnast from Slovenia, Miroslav Cerar promised to donate, upon the arrangement of the hall, two sets of gymnastics devices. “When we presented the plan to directors of schools, they were thrilled, but they told us that they cannot do anything without the Ministry and the Minister,” says Vucevic. In the end, they were told by the Ministry to avoid opening of sports halls within schools. Video that has recently appeared on social networks shows professor of the Electro-technical High School in Podgorica Veselin Picuric as he stands in front of the school blackboard and emblem of Montenegro finger flicking on students foreheads. Students pass by him quietly, tolerating his actions which leads to a conclusion that it is usual educational-correctional measure. The video was made ten years ago, and in the meantime Picuric was promoted to a director of this school. His third mandate was signed by Minister Damir Sehovic on February 7, this year. Students were not the only ones who made video records of professors in Electro-technical High School “Vaso Aligrudic”. When Picuric became director in 2009, he installed video surveillance in classrooms, computer halls and laboratories. In 2011 he went step further and placed cameras in practical classes’ premises, and even in school's toilets. This was done unlawfully, according to the opinion of Basic Court in Podgorica which was brought in January 2019, just before Picuric’s re-election. 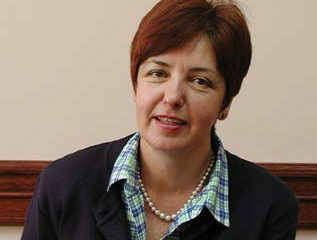 Judge of Podgorica's Basic Court Katarina Jankovic, acting upon charges of eleven former and current professors of that school, ordered the school to pay each of them a thousand euros, as a compensation for non-pecuniary damage for violation of person’s rights – the right to privacy and the right to mental integrity. Picuric said that the court ruling was not the final and that he would appeal. 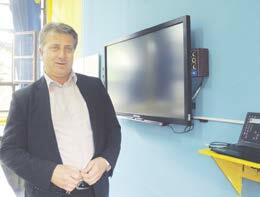 He also said that video surveillance was set up with the approval of the Teachers’ Council. On the other hand the opinion of the court considered the installation of video surveillance in the toilets as an interference with the right to privacy. Previously, the Agency for the Protection of Personal Data requested removal of cameras from school toilets, and then from all 16 rooms where the teaching process takes place, because they were set up without a valid legal basis. The Court also established a very creative misuse of recordings – on one occasion during a session of the Teachers’ Council, at which more than 100 employees were present, a class of one of the professors was shown on a TV screen. The director used the part of the session to comment on professor’s work in front of his colleagues. The purpose of that video screening was to show to everyone that they were under surveillance and that their work can be also commented. The ruling states that they received warnings even from the cleaning staff. Before the trial, Picuric was also in focus of educational authorities. Namely, the main education inspector Lucija Adzic recommended in 2013, Picuric’s dismissal from the position of school director. In November 2017, the Educational Inspectorate reiterated that Picuric should be dismissed. He unlawfully dismissed three professors of practical classes Ranko Ljumovic, Dragan Sandic and Branislav Ivanstanin. At the same time, he hired seven new professors, among who only one had professional certification. According to the assessment of the education inspector Radan Nikolic, in the period from 2009 to 2014, Picuric damaged the school and the state for 136.000,00 euros! Despite those warnings and confirmed damage, Picuric continued to work on his own. Education inspector Vesko Joksimovic found out in December 2018, that Picuric, again unlawfully reduced teaching hours to professors of practical classes, and that he hired six teachers who did not have professional certification and license to work in educational institutions. The Ministry of Education was well informed about the situation. However this did not prevent Minister Sehovic in February this year, to sign for Picuric’s mandate one more time. Center for Civic Education considers that reelection of Picuric gives a perception that Ministry values personnel like him. It also represents further humiliation for the Educational Inspection whose work has been disregarded. They also pointed out that this election comes after a first instance court decision which stated that Picuric was acting unlawfully which has cost fairly the school, i.e. the budget. 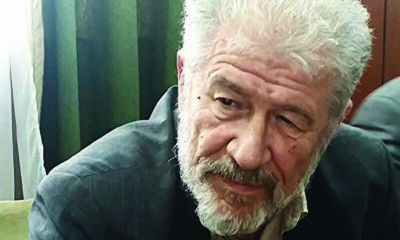 Weekly Monitor asked the Ministry of Education for the reasoning of Picuric’s extended mandate and disregard of Educational Inspection recommendations for his dismissal, as well as about their opinion about 100,000 euros damage (as determined by the court) made by unlawful actions of this director. Weekly Monitor also asked what will be Ministry’s reaction if court confirms some of the criminal complaints filed against the director of Electro-technical School. Answers were not received. The Ministry, the Minister and the Director disregard findings of the Educational Inspection, but pay to a court instead. 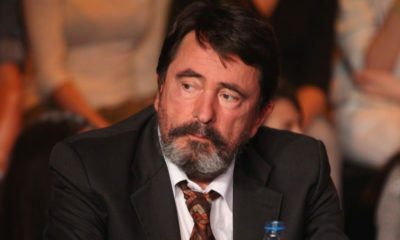 Pićurić sued professor Mladen Klikovac during 2015, stating that he insulted him in the classroom in front of the students, called him on a fight, and threatened him. Director the following day asked his students to sign statements about the event. Soon after that he initiated disciplinary proceedings against professor Klikovac for alleged “mobbing over director” and punished him with five percent salary reduction for three months. 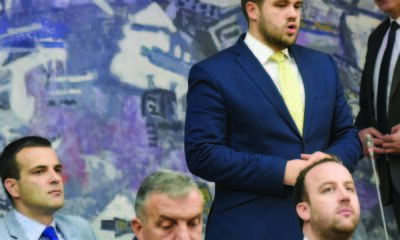 The Basic Court in Cetinje annulled this disciplinary measure as unfounded, and local misdemeanor department in Podgorica determined that Klikovac was not guilty. His testimony in the court was confirmed by four former students of this school. After these verdicts, Klikovac against Picuric, filed a criminal complaint for falsification of an official document, abuse of office, official misconduct and false reporting. Basic State Prosecutor Nikola Boricic rejected in November last year a criminal complaint filed by Aleksandrina Vujacic, Ranko Ljumovic, Dragan Sandic and Mladen Klikovac against Picuric for: official misconduct, abuse of economic power, evasion of taxes and contributions, bribery, autocracy, falsification of a public document… At the beginning of this year, the State Prosecutor's Office found that “the decision of the Basic State Prosecutor's Office in Podgorica was based on incomplete factual state. Therefore, it is ordered to the Basic State Prosecutor's Office in Podgorica to fully determine the factual situation in order to make legal decision”. Despite the lack of clear evidence that Caspia delivered the services for which Atlas Bank was expected to pay €12.5 million, the Montenegrin courts ruled in favour of Kaspia, a company linked to the family of powerful Azerbaijani minister Khamaladin Heydarov. President Djukanovic met Heydarov several times whereas Heydarov's company name pops us in the context of the case of murdered Maltese journalist Daphne Caruana Galizia. Montenegro’s strongman Milo Djukanovic met Kamaladdin Heydarov, powerful Azerbaijan’s emergency affairs minister in Oct 2105. The contents of the meeting remain veiled. Prime Minister Djukanovic was accompanied by then minister of economy Vladimir Kavaric, then minister of sustainable development and tourism Branimir Gvozdenovic, Djukanovic’s chief political advisor Milan Rocen and Djukanovic’s advisor for energy and industrial development Ranko Milovic. The information service of Azerbaijan’s government reported that Heydarov and then Prime Minister Djukanovic talked about their experience in managing emergency situations. 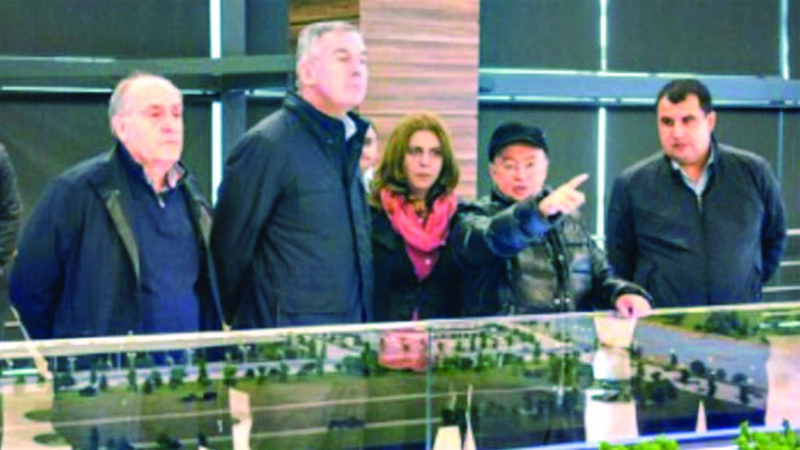 On the other hand Djukanovic’s press service reported that he had met the Gilan company representatives there to discuss cooperation related to winter tourism and food production, Heydarov also being present. 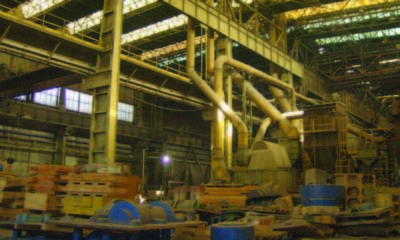 Gilan Holdings is one of the most successful Azerbaijani companies. Gilan was founded by Heydarov in the 80s and later he handed it over to his sons when he joined the government. However, it was recently reported, as a part of the Daphne Project, that daughters of President Ilham Aliyev have a share in the company too, whereas Heydarov is often used as a shell for the property of Aliyev who ranks the wealthiest in the country. According to the US diplomatic documents leaked in 2010, Heydarov made his “enormous wealth“ while he was heading the State Customs Committee “which was notoriously corrupt even by Azerbaijani standards“. Heydarov is also known as “the minister of all important things“. Although Montenegro’s economy did not benefit from the visit, that which followed brought emergency situation to some in Montenegro. Caspia Property Holdings of the sons of minister Heydarov, Tale and Nijat, sued Atlas Bank of Dusko Knezevic claiming that Knezevic owed the company €12.5 million. Caspia was arguing before the Commercial Court of Montenegro that the disputed amount was based on the alleged bank guarantee. On the other hand, Knezevic has argued that the guarantee was never issued but only a draft thereof so to launch talks about possible bussines. Furthermore, Knezevic claims that the lawsuit was a scheme to enrich those who had orchestrated the whole thing. In his recent interview with A1 TV Knezevic said that “the money was transferred to Prva Bank of the Djukanovic brothers in the joint operation via the president of Commercial Court Blazo Jovanic“. They were Knezevic’s longtime friends with whom he was doing business adhering to the rules of the Montenegrin Octopus set up by Djukanovic. However, he parted ways with them recently. Caspia Property Holdings is mentioned in the context of investigation of the murder of Maltese journalist Daphne Karuana Galizia. Before she was murdered she was investigating the businesses of the ruling Azerbaijani families and their accounts in Malta’s Pilatus Bank. She was killed by car bomb in Oct 2017. The Daphne Project is carried out by many investigative reporters who are keen to continue Daphe’s investigations. They found out that the children of the two most powerful officials in Azerbaijan– President Aliyev and his minister Heydarov, used dozens of offshore companies as covers for investments in luxury real estates, companies and top hotels across Europe and the Middle East. Montenegro is one of those places. According to the Montenegrin Central Register of Business Entities (CRPS), a couple of months after Djukanovic’s visit to Azerbaijan and his meeting with Mr Heydarov, in Jan 2016, a company was founded in Budva. It was registered as hotel business-Caspia Tourism. Behind it stood a chain of offshore companies which are related to the Heydarov family. 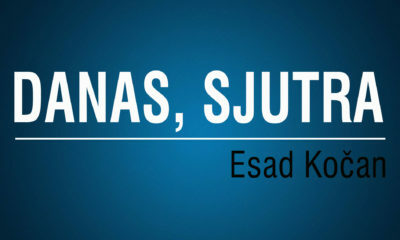 The executive of the Budva-based company is certain Esad Puskar, a US citizen. The reporters who are a part of the Daphne Project wrote that “their secrets were hidden in the files of Pilatus Bank in Malta, which is now under investigation for money laundering“. The foreign media reported that Pilatus Bank’s murky businesses in Malta were first revealed by the bank’s former employee Maria Efimova who met Daphne Galizia in early 2017. Daphne soon published that Aliyev’s eldest daughter Leyla transferred a million euros from the account in Pilatus Bank via her offshore companies to the offshore company owned by the wife of Joseph Muscat, the prime minister of Malta. She also reported that the main bank’s client was Khamaladin Heydarov and that he had several accounts in the bank which are registered in various companies which are remotely owned by Heydarov himself. The journalist was killed six months later. The investigators haven’t solved the case. The motives and masterminds of the crime remain unknown. 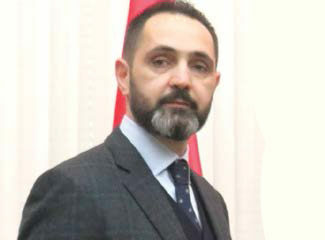 However, speaking of the local turf, the documents show that Knezevic did talk with Azerbaijanis about possible business projects in 2014 after Montenegro’s Djukanovic led authorities established business relations with Azerbaijani companies which embarked on big projects on the seacoast. Nevertheless, many things have remained unclear and unveiled after controversial two year long battle in court launched by the Azerbaijanis. Thus it’s still unresolved whether the project of Caspia and Atlas Bank has even been carried out. Had it been completed on the part of the Azerbaijanies it would have justified the court’s ruling in their favour thus calling upon the guarantee issued by the bank. 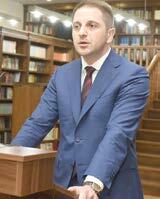 However, Knezevic claims that the business with the Azerbaijanis didn’t happen at all. The Montenegrin courts reached entirely different verdicts based on the very same evidence. Thus Zoran Asanin, a judge of the Commercial Court was certain, based on his first verdict, that the bank guarantee was problematic and not to be called upon. “The court has concluded that the said bank guarantee does not contain all the key elements pursuant to the International Chamber of Commerce Uniform Rules, therefore the said guarantee cannot constitute a valid bank guarantee“ said the court in Nov 2016 in its ruling which favoured Atlas Bank. Judge Asanin stated in the same verdict that the plaintiff, Caspia Property Holdings, did not prove that it had carried out the work on account of which the guarantee could be called upon. The Appellate Court chamber headed by judge Marija Marinkovic reversed the verdict and ordered retrial. After that, judge Asanin completely changed his mind. Besides other things, the Appellate Court criticised Asanin for not having heard Dusko Knezevic about the alleged business deal which was the cause of the guarantee. Asanin was also criticised for examining the bank guarantee’s validity from the standpoint of international rules. So, Asanin next time ruled in favour of Caspia and his verdict was readily upheld by the Appellate Court and its judge Ramo Strikovic. Judge Strikovic also rejected the motion of Knezevic to take part in the hearing as one of the parties in the lawsuit. In the retrial, when judge Asanin changed his mood, it was stated that a part of the money was paid in cash to Knezevic for his share in Princess Hotel in Bar. 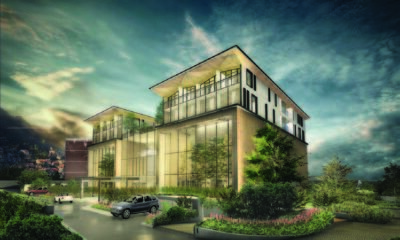 However there is no clear evidence that the transaction ever happened while the business registry of the Commercial Court doesn’t show Caspia as the hotel’s co-owner. Furthermore, the Caspia owners were not heard in the court. The Appellate Court’s judge Strikovic upheld the new verdict of the Commercial Court stating that it didn’t matter whether the business deal had been carried out or not. “Whether the parties adhered to the contract and to what extent is of no significance to resolve the lawsuit. This same applies to the defendant’s allegations that payments of €8… and €4… were made not by the plaintiff but by third parties and that those (payments) were not related to the (contested) Contract“ – so it is stated in the ruling of June 2018. “The Appellate Court adhered to the reasoning of the Commercial Court and failed to heed the civil procedure violations and to review all the matters of relevance. Motions for new evidence were suppressed, including the motion to hear the real owners of Caspia Property Holdings- Tale and Nijat Heydarov, and their father- minister of emergency affairs in the government of Azerbaijan and owner of Azerbaijan’s Gilan Holdings. He visited Montenegro and talked about potential investments in the projects of Atlas Group. Later, he unilaterally pulled out. 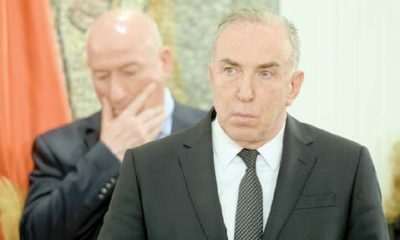 The Appellate Court and the Commercial Court rejected the motion to hear Knezevic and to order financial audit“ said Igor Martinovic, a lawyer of Atlas Group. He announced that he would address the Supreme Court over the matter. The money was expressly transferred to Caspia’a account with Prva Bank of the Djukanovic brothers even before all legal remedies were exhausted. “We submitted complaint to the Commercial Court on 16 July and asked to postpone the enforcement of ruling. The Commercial Court did accept our request to abort the enforcement“ explains Martinovic. However, the money was transferred to Prva Bank despite everything. “We were expecting that the judicial officer would return the money back to Atlas Bank. That didn’t happen“ ended Martinovic. Maybe we’ll find out one day if those €12.5 million helped the Djukanovic brothers to improve their solvency if we ever get the national authorities which will rather pay heed to the law than bend the knee before their autocratic boss. In 2013, Montenegrin independent media and its representatives have been exposed to stronger and more vicious attacks and pressures than in the previous years. Independent dailies Vijesti and Dan and the weekly Monitor continued to be the main targets. These were manifested through physical assaults on journalists and independent paper's premises, financial pressures and legal proceedings. Not surprisingly, therefore, Montenegro is now ranked on the Reporters without Borders’ list on media freedoms at the 113th position, which is lower than year before when Montenegro was on 107th place. In Europe, only Macedonia, Belarus, Russia and Ukraine have lower rankings, while in the region Bosnia is at 68th position, Serbia on 63th. 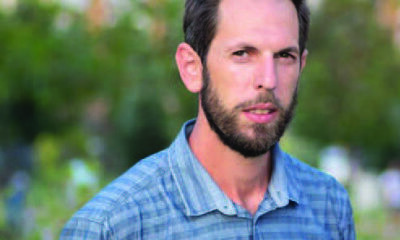 The case of Tufik Softic: In August 2013, Mr. Tufik Softic, a journalist of the weekly Monitor and daily Vijesti was attacked by an explosive device activated in the front yard of his house that has damaged his car. This journalist was also attacked 6 years ago at the same location where he was brutally beaten by several persons. No person has ever been held responsible for the violent acts against the journalist, who at that time suffered serious injuries. In his reporting for Monitor and Vijesti, Mr. Softic investigated smugglings of cigarettes and other illegal goods in the northern region of Montenegro. The case of Olivera Lakic: On 20 July 2012, the Basic Court of Podgorica sentenced Ivan Buskovic to nine months in prison for physically attacking Vijesti reporter Ms Olivera Lakic on March 7, 2012.The attack, preceded by threats against Lakic and her family, followed articles she wrote alleging that cigarettes with fake branding were illegally produced at the tobacco factory in the northern town of Mojkovac. Ivan Buskovic, a 29-year-old petty criminal whom Lakic recognized as her attacker, according to Ms Lakic did not have any motive to assault her. Authorities continue to investigate whether Buskovic was operating under the orders of others, an issue the court did not address. 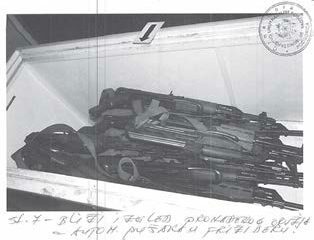 In December 2012, Montenegrin prosecution authorities examined in relation to this case Mr Milenko Rabrenovic, a police officer and driver of Mr Veselin Veljovic, former head of the Montenegrin Police Authority, but the motives, master-minders and organizers of these attacks are still unknown. The case of Vijesti premises: Stones have been thrown twice on Vijesti's premises. This happened during the Pride Parade, on 20 October 2013 and a month later. Although there is a video record of the second attack, no one has been held responsible for the same. Police authorities have still not found the arsonists who torched four vehicle of Vijesti during summer 2011. Although representatives of the police and government claim that they are diligently working on these cases, no progress can be reported in their resolving to date. The case of Milena Perovic: President of the Assembly of the Municipality of Kolasin, Mr. Mile Sukovic conveyed threats to Monitor's journalist Ms Perovic in a telephone conversation with a representative of the weekly's editorial board. This happened during summer, after Ms Perovic wrote an article describing business deals and the political career of Mr Sukovic. The Prosecutor's Office initiated a case against Mr Sukovic in this regard. The case is now under consideration by the Basic court of Kolasin. The case of Milka Tadic Mijovic: Executive Director of Monitor has received a threatening and vulgar SMS message on 16 November that she reported to the police. Although the message was sent from an unprotected telephone number, police authorities have still not disclosed the identity of the author of these threats. 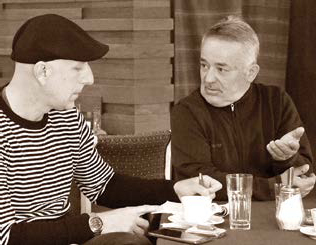 The case of Marko Milacic: Monitor's journalist was physically attacked in a restaurant by Veselin Barovic, a Montenegrin businessman and his bodyguards. Mr Barovic is a close friend of Prime Minister Djukanovic. The first level court concluded that Mr Barovic was not guilty, but the second level court has returned the case for reconsideration by the first level court. The case of Aleksandar Vuckovic: Vijesti's journalist has been verbally attacked on 11 December by Dragan Djurickovic, the coach of the Montenegrin boxing team and member of the Montenegrin Special Police Force. A court case was launched against Mr Djurickovic, who has been punished in the meantime by his superiors and removed to another unit in the Police. The case of bomb explosion in front of Vijesti's premises: On 26 December, shortly before midnight, a strong bomb explosion shook the offices of the daily Vijesti. Fortunately, no one was hurt in the blast, which appeared to target a room used by Editor-in-Chief Mihailo Jovovic, shattering windows and damaging the facade of the Vijesti building. Jovovic was in his office and another 15 people were in the building at the time of bombing. Police authorities have not found who was involved in this terroristic act. Montenegrin police and judiciary did not manage to solve numerous previous cases of physical attacks on journalists and editors in Montenegro, starting with the 2004 murder of publisher and editor of daily Dan, Mr Dusko Jovanovic, the 2008 murder of Srdjan Vojicic in 2008, a guard of Montenegrin poet Jevrem Brkovic, followed by the attacks on Tufik Softic, Jevrem Brkovic, Zeljko Ivanovic, Mladen Stojovic, Olivera Lakic and others. Minister of Internal Affairs Rasko Konjevic has announced that an independent commission will be formed to investigate the unsolved attacks on journalists and that the same will include representatives of independent media and civil society organizations. Treatment of the independent media representatives as criminals and enemies: Representatives of the independent media have been accused for being disloyal to the Montenegrin state and depicted as non-patriotic, even for belonging to the organized crime. In numerous public appearances over the past year, Prime Minister and leader of the ruling political party DPS Milo Djukanovic continued campaigning against the independent media. Public verbal attacks on independent media by the Prime Minister and other senior state officials are highly inflammatory. For example, in an October 2013 public radio interview, Mr. Djukanovic referred to a co-founder of Vijesti and Monitor as “the leader of the Montenegrin media mafia” and predicted the imminent closure of these media outlets. In November 2013, he also attended an exhibition of the state-funded conference “Words, Pictures and the Enemy”, whose key purpose was to portray the independent media as “the enemy” of the state. 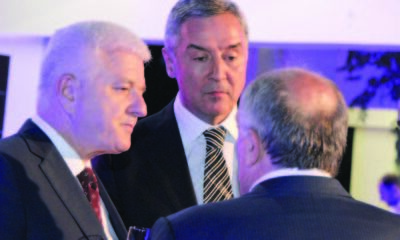 Prime Minister Djukanovic depicted the representatives of independent media as rats that need to be deratized. On more than one occasion, Djukanovic has repeated that media and civil activists represent a major barrier on the Montenegrin road towards Europe, that they chase away foreign investors by writing about corruption and organized crime, and that they want to bring down the current administration by all possible means. Mr Djukanovic falsely accused the independent media for coordinating the opposition parties, and for founding parties. Last year, he announced the arrest of Miodrag Perovic, co-founder of the daily Vijesti and the weekly Monitor. This propaganda is coordinated by top DPS officials, with advisory support by the Public Policy Institute, and is implemented by the daily Pobjeda, TV Pink and TV 777. Pobjeda has published several serials about the independent media and its representatives, using hate language and grossly distorting facts. In them, female journalists and civil activists are called prostitutes, while owners and male journalists are presented as fools, animals and national traitors. Damaging false claims by Pobjeda and PINK TV in October and November have included allegations that Vijesti's and Monitor's founders are corrupt and involved in criminal gangs and statements that TV Vijesti's audience is falling (an attempt to deter advertisers). In 2010, Pobjeda published a series of 43 articles, whose excerpts are occasionally reprinted. They contain, among others, false claims that Vijesti's owners had engaged in tax evasion and had links with the organised crime. On the other hand, only in the independent media one can find serious investigative pieces on corruption, non-transparent privatizations, links between the political elite and criminals, etc. The aim is clear – to silence and discipline the independent media, their founders, editors and journalists by publicly lynching them. Financial pressures through advertising: The biggest portion of the total advertising budget from the state institutions – the national and local governments, agencies, ministries, state owned companies – goes mostly to the media controlled by the state and ruling political structures. A recent research conducted by the Center for Civic Education, has concluded that the state-controlled daily Pobjeda, albeit with the smallest circulation, benefits from the greatest number of advertisings by the state institutions and enterprises. 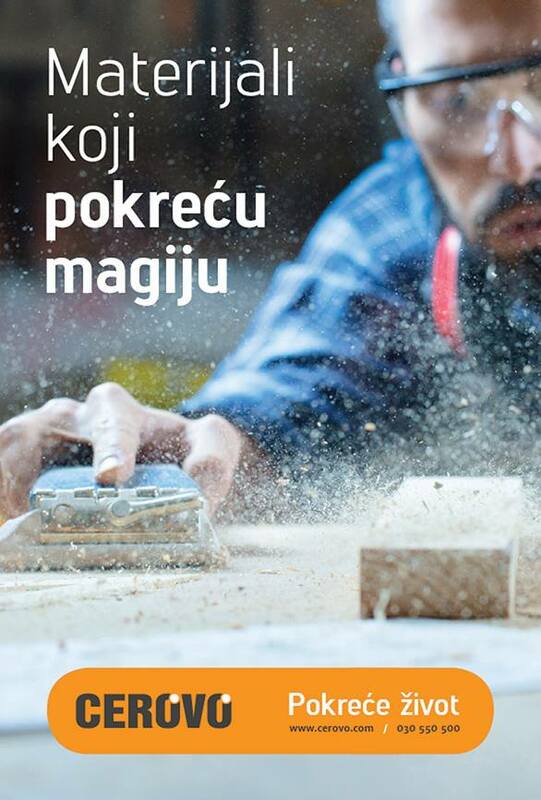 Pobjeda sells its advertising space to the state companies and institutions for much higher prices than those charged by dailies Vijesti and Dan. Also, Pobjeda offers very low advertising prices to private companies, thus threatening the independent media to lose their main source of revenue. The ownership structure: Media controlled by the ruling DPS officials are financed in a non-transparent way and it remains unclear who really owns them. Most of them are bankrupt; some have multi-million losses but still keep functioning. Government covers losses of Pobjeda by means of unlawful state aid, while the Radio Television of Montenegro is directly funded by the budget. Behind other media, publicly or secretly, stand tycoons and their companies who support government's propaganda and interests. This distorts competition on the media market and degrades professional standards. Indicative is the case of daily Pobjeda which remains in state ownership, even though the Media Law of 2002 foresaw its privatization by 2004. Two ill-prepared tenders launched in the meantime have predictably failed, so the Government is continuing to finance the newspaper in violation of the laws on competition and state aid. The state subsidy to Pobjeda accumulated since 2004 totaled 24 million Euros by the end of 2012. Besides domestic laws, this continuous illegal practice infringes directly on the country's Stabilisation and Association Agreement that prohibit unlawful state aid and threatens to squeeze the private print media out the market. Several appeals made by EU representatives on the Montenegrin government to relinquish ownership control and stop subsidizing the daily have been ignored. Court cases: In the last few years dailies Vijesti and Dan and weekly Monitor have paid over 300 000 Euros for alleged libel and for pain and suffering of the plaintiffs, Prime Minister Djukanovic and his close representatives of business elite included. In a majority of these cases penalties imposed in the Montenegrin courts have not been in accordance with the practice of HRC and have jeopardized the economic survival of these media, and thus the freedom of speech and expression. Lawsuit by Ana Kolarevic: The sister of PM Milo Djukanovic, lawyer Ana Kolarevic filed a lawsuit against independent papers Vijesti, Monitor and Dan, seeking compensation of 100,000 Euros from each of these papers. The pretext is the alleged mental pain that she has suffered as a result of the medias’ reporting on the Telecom affair. Earlier, the US court authorities in New York opened high-level corruption case related to the Telecom privatisation in 2005. In New York Court documents, Prime Minister Djukanovic's sister is brought in connection with this affair and its dubious contracts, which were highlighted by the media that she is now suing. Ms Kolarevic has decided to file a lawsuit only ten months after the first articles, when it was clear that her brother will return to the post of Prime Minister. Kolarevic lost the cases against Dan and Monitor, but won the case against Vijesti, although this lawsuit was identical to those against Dan and Vijesti. Public radio and television: The editorial board of RTV Montenegro insists on entertainment and sport, which get lots of funds that are set aside (for example airing the Champions League). At the same time educational, scientific and informative program, which are the foundations of every public service broadcast productions that are below professional standards. In the news programs, the primacy is still given to the ruling parties and leading government officials, while the activities and views of the opposition and civil society representatives are under-represented. RTV Montenegro is accused by some members of its Board for non-transparent allocation of funds in previous years, as well as for closing suspicious contracts worth millions with the off shore company Fiesta. This company has been for more than ten years an agent for leasing of satellite services for RTV Montenegro. Interestingly, the company”Fiesta” was in the middle of corruption scandal during the privatization of the Montenegrin Telecom company. Self regulatory body: Media Self-Regulation Council (Medijski savjet za samoregulaciju -MSS) which brought together 19 print and electronic media was formed in March 2012. A significant number of these media is financed from state and local budgets, while the majority does not keep distance from the ruling structures. This body focuses its activity on regulation of media that are not its members, as are Vijest and Dan and fails to notice the obvious breaches of ethical standards by its own founders. The well known NGO Human Rights Action has made this observation in its recent monitoring report on the activities of self-regulatory bodies which also confirmed suspicions that media who are members of MSS are the most frequent violators of the Journalistic Codex and ethical norms..
On the other hand, daily Vijesti founded its own self -regulatory body, media ombudsman as well as TV Vijesti.